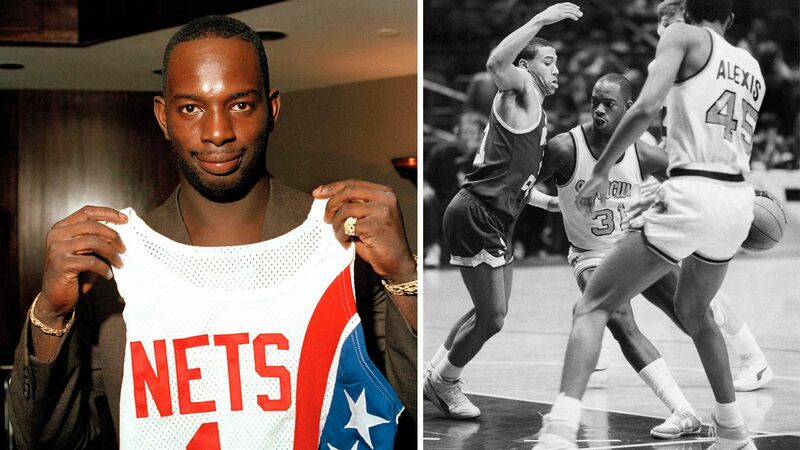 SYRACUSE, New York -- Dwayne "Pearl" Washington, who went from New York City playground wonder to Big East star for Jim Boeheim at Syracuse, has died. He was 52. Washington was not particularly fast, nor could he jump particularly high. Neither mattered - he simply excited fans with his amazing ball-handling skills, an uncanny court sense, elusiveness, and the ability to pull off unbelievable plays at the right time. His signature move was the crossover dribble - the "shake-and-bake" - that froze defenders, then a drive to the hoop for an easy layup past the defense's big men. His play was instrumental in helping create the aura of greatness the Big East Conference had during its heyday in the 1980s and 1990s. The Orange entered the top 20 the week after that memorable shot and remained there for the rest of Washington's college career. Later that winter, he set a Syracuse record with 18 assists against St. John's. Washington had some of his best moments in an arena he cherished - Madison Square Garden. As a junior, he had a 35-point game against St. John's and again led the Orange to the Big East finals in 1986 after a dramatic 75-73 overtime win over Georgetown in the semifinals. In the championship game against St. John's, Washington had 20 points and 14 assists but was denied a game-winner when Walter Berry blocked his layup after a court-long dash.